The Lovelace V Bowls 8.5" FU box Fin. Slightly stiffer than average flex fin. More True Ames Class. The Lovelace V Bowls 8.5″ FU box Fin. 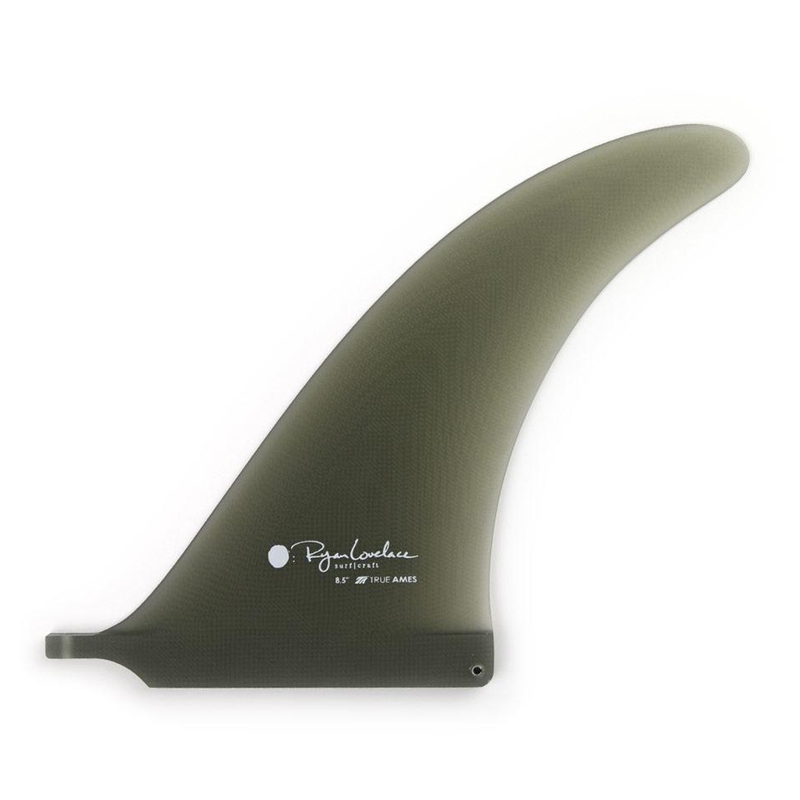 Slightly stiffer than your average flex fin, Ryan Lovelace designed this as his ultimate mid-length companion. It’s named after his favourite board, but not at all limited to the design. What you’ll find in this fin is passion — great drive down the line and taut release out of your bottom turns when surfed with a heavy foot. Smoke colour only. Only a few in stock. More True Ames Class. The Lovelace V Bowls 8.5″ FU box Fin. Slightly stiffer than your average flex fin, Ryan Lovelace designed this as his ultimate mid-length companion. It’s named after his favourite board, but not at all limited to the design. What you’ll find in this fin is passion— great drive down the line and taut release out of your bottom turns when surfed with a heavy foot.